Will eased regulations benefit consumers and providers? Recent developments affecting online access and privacy are raising new questions about the future of the internet. 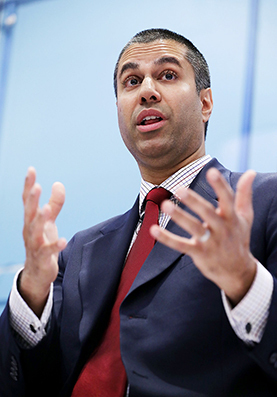 On May 18, the Republican-controlled Federal Communications Commission (FCC) voted to undo net-neutrality regulations established by the Obama administration that require high-speed internet service providers (ISPs) to provide equal access to all content. And in March, President Trump signed a bill rescinding an FCC regulation requiring ISPs to get consumers’ permission before selling their browsing data to marketers. In addition, AT&T&#8217;s pending $85.4 billion acquisition of Time Warner is expected to take effect before year’s end, Google and Uber are battling over self-driving cars, and Elon Musk, founder of automaker Tesla, has launched a company that aims to merge computers with human brains.